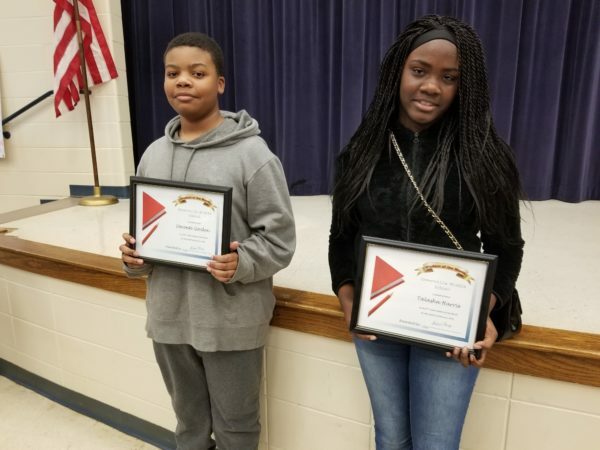 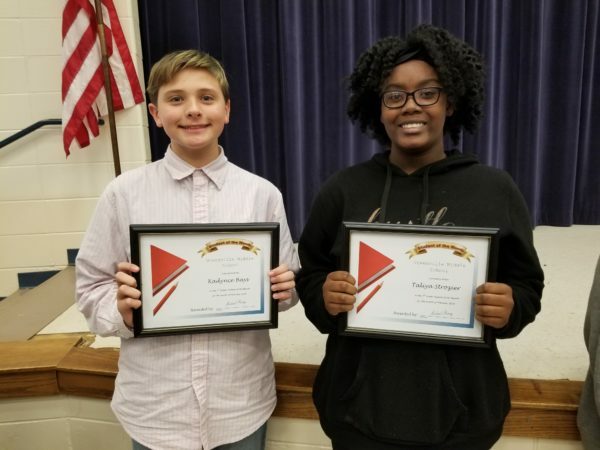 Greenville Middle School proudly honored its Students of the Month for February during a school-wide meeting on February 28th. 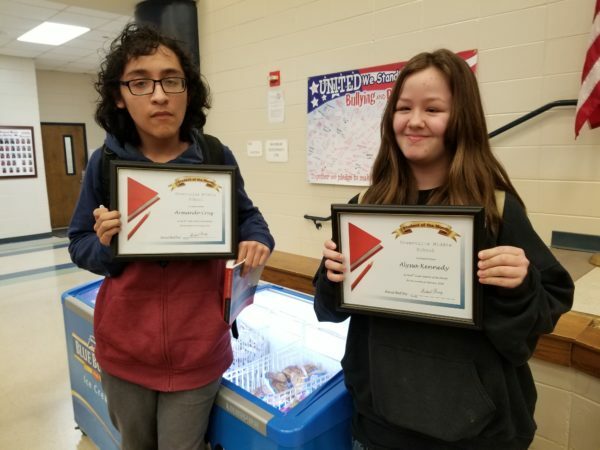 Two students from each grade level were recognized for their hard work and commitment to doing well this past month. 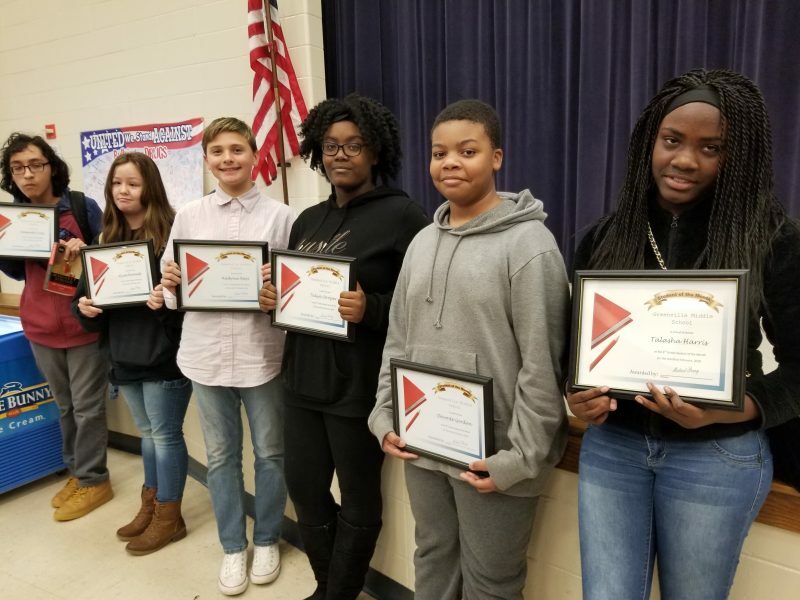 GMS Students of the Month for February are: Talasha Harris and Devonte Gordon (6th Grade), Taliya Strozier and Kadynce Bays (7th Grade), and Alyssa Kennedy and Armando Cruz (8th Grade).